John Michael Higgins – who plays a scene-stealing judge in the ‘Pitch Perfect’ movies – shares details about the highly-anticipated third installment in the series, and how Elizabeth Banks initially got him the gig. John Michael Higgins: It’s an interesting picture, I have to say. It’s bold. Yeah, it’s a very bold picture, it has elements of other genres in it like action, it’s definitely a big musical picture. All the women are there, they're hilarious, great singers and dancers, so you’ll get all that -- but you know, there’s explosions. I can’t tell you more! Larry King: Was it fun to shoot? 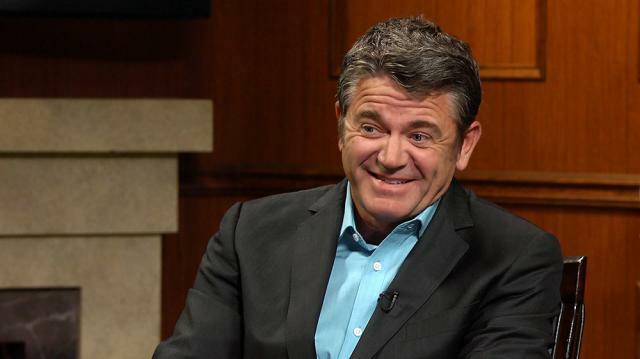 John Michael Higgins: It’s always fun to shoot. It’s fun, maybe in the wrong way. I don’t work very hard in those movies and I like it that way. Larry King: What do you mean you don’t work hard? John Michael Higgins: Well, you know, I don’t have to do the singing and the dancing! They have to go to bootcamp for months on that. I show up, I worked one day on ‘Pitch Perfect 1’. I was doing something else, Liz Banks, who’s a friend of mine, she’s a producer of the picture, she says “Michael, come on down, we need you to improvise some stuff for the day,” I do that thing...we did it, it was like a day and a half, I think. Larry King: She’s so talented. John Michael Higgins: The best. John Michael Higgins: It’s a burden for her.